Price reduced to $100 K!! Great investment potential! 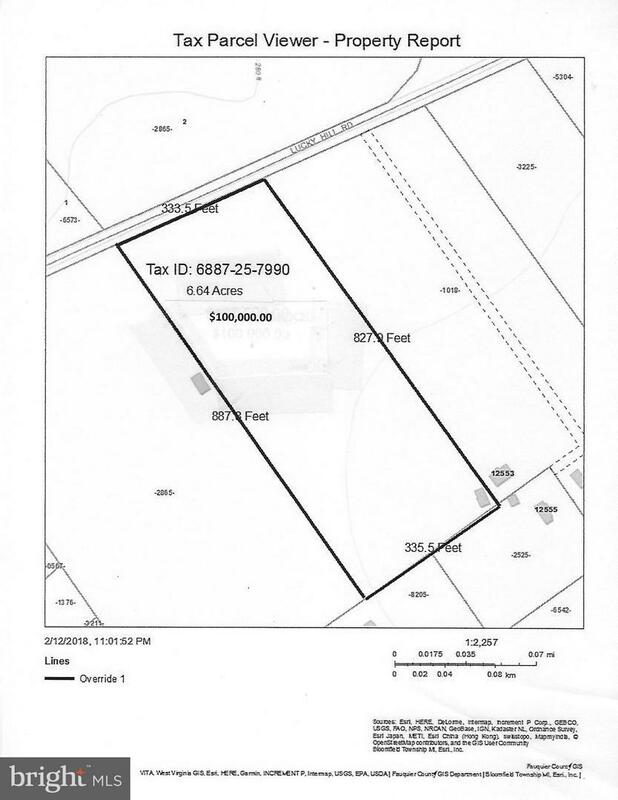 6.64 acre nicely shaped parcel in great location may potentially be divided into smaller parcels - zoned for 2 dwellings per acre (county approval is required). Property fronts Lucky Hill Road & within walking distance to town of Remington! Also see Residential Listing # 1005617908 for home to be built option on same lot.